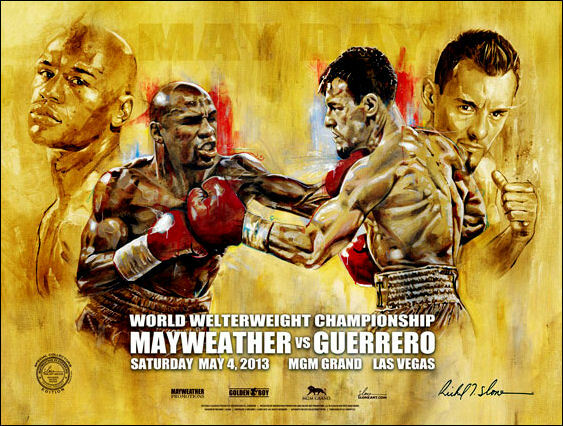 Description : Official Slone art limited edition MGM Grand commissioned onsite poster from the Fight at the MGM Grand Garden Arena in Las Vegas. Mayweather returned to the ring on May 4, 2013 at the MGM Grand Garden Arena to face the WBC interim welterweight champion, Ring No. 3 ranked welterweight, and the WBC's mandatory challenger Robert Guerrero. This was Mayweather's first fight since being released from jail, and was the first time Mayweather has fought on Showtime PPV after a long relationship with HBO. 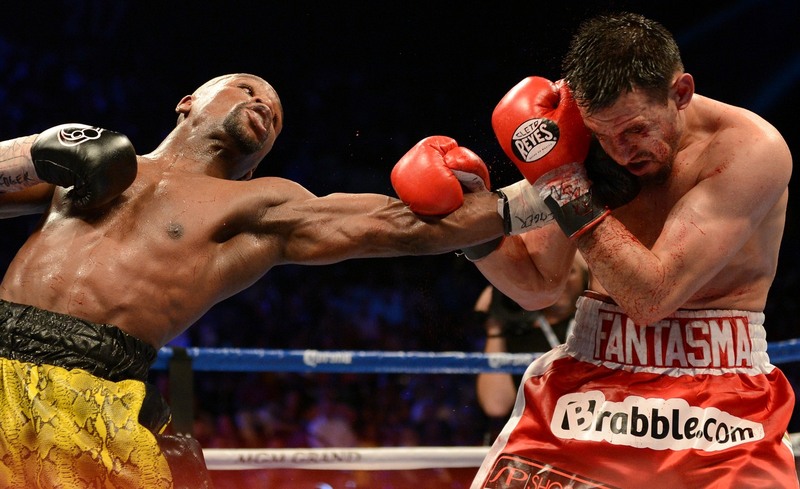 Mayweather was guaranteed $32 million for the fight. 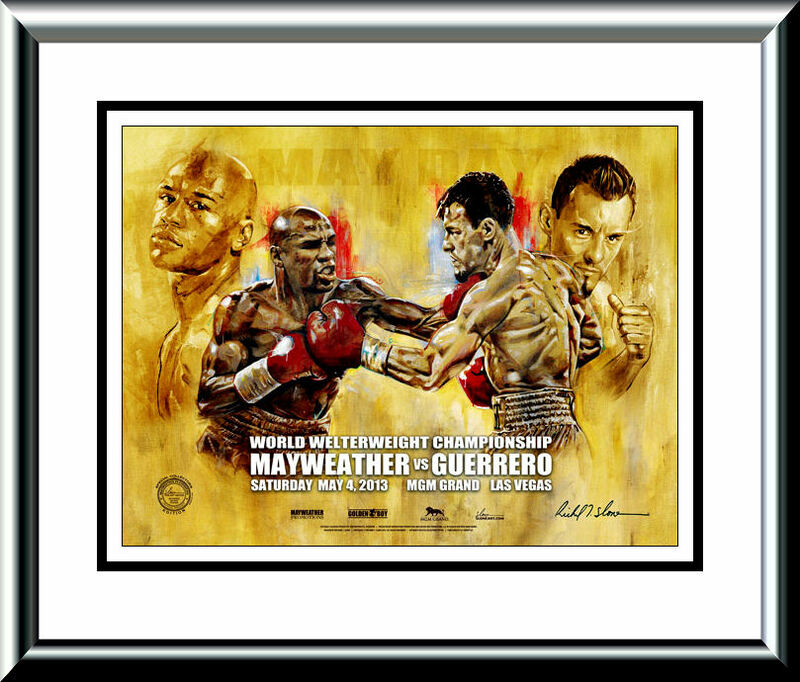 The first couple rounds were fairly even, with Mayweather attempting to counter and time Guerrero, while Guerrero was attempting to drive Mayweather to the ropes and make it a rough fight. After the first couple rounds, Mayweather was in complete control, almost hitting Guerrero at will with right hand leads, counters, hooks, and effectively timing Guerrero the rest of the fight. Mayweather won the fight on all three scorecards 117-111.